How to Celebrate Fall on Long Island - Adelberg Montalvan Pediatric Dental PC & Orthodontics too! Autumn is one of the best times of year here on Long Island. From apple picking to fall festivals to taking in the changing scenery, there is so much to do! 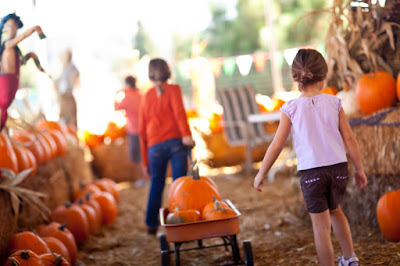 Below, we’ve listed a few of our favorite ways to celebrate fall on Long Island. What is your best way to celebrate? It’s apple season! Head out to the North Fork and pick your own with family and friends. Not only are they delicious, fresh and season, you can also turn them into your favorite fall treats like cider, pies, and cakes. A true Long Island Country Fair is a great way to embrace the fall season. Bring your kids and enjoy puppet shows, live music, a circus, children’s races, and more! Throughout the month of October, The Rise of the Jack O’Lanterns will be on display. There will be more than 5,000 hand-carved Jack O’Lanterns made by amazing local artists. There are so many beautiful trails here on Long Island. Enjoy the scenery and enjoy the changing leaves at Avalon Park & Preserve, Bayard Cutting Arboretum, Cold Spring Harbor State Park, Theodore Roosevelt Sanctuary, the South Shore Nature Center, and more! Corn mazes are one of the most fall-themed activities you can do here on the island. Head over to one of the many local farms out east and run through the corn mazes with your kids (just don’t get lost!). Before you know it, Halloween will be here. Pick out the perfect pumpkin to sit on your front steps — and of course, to carve into jack-o-lanterns!